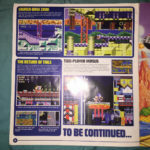 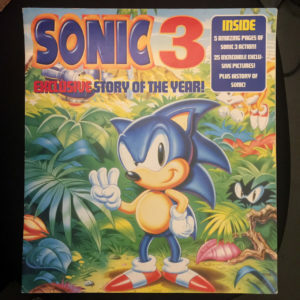 Sonic 3: Exclusive Story of the Year! 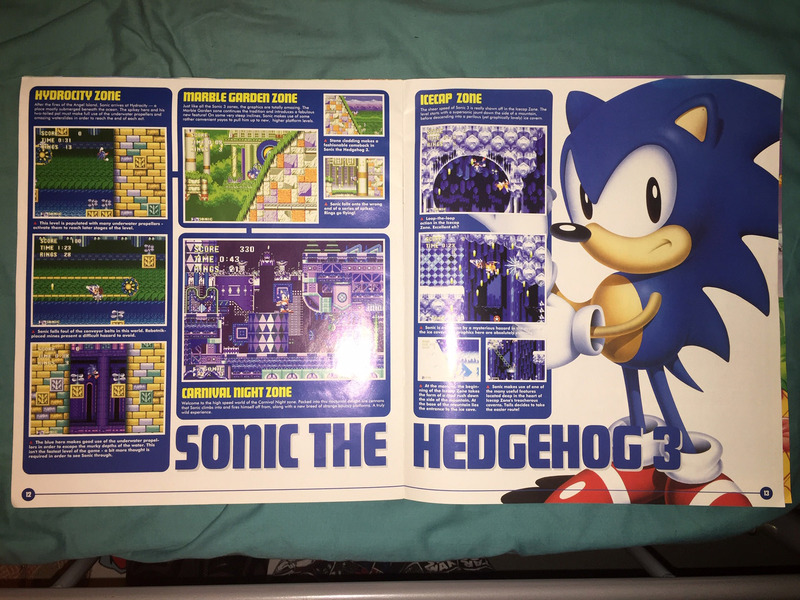 A 15 page preview supplement from the people behind the UK’s official SEGA Magazine. 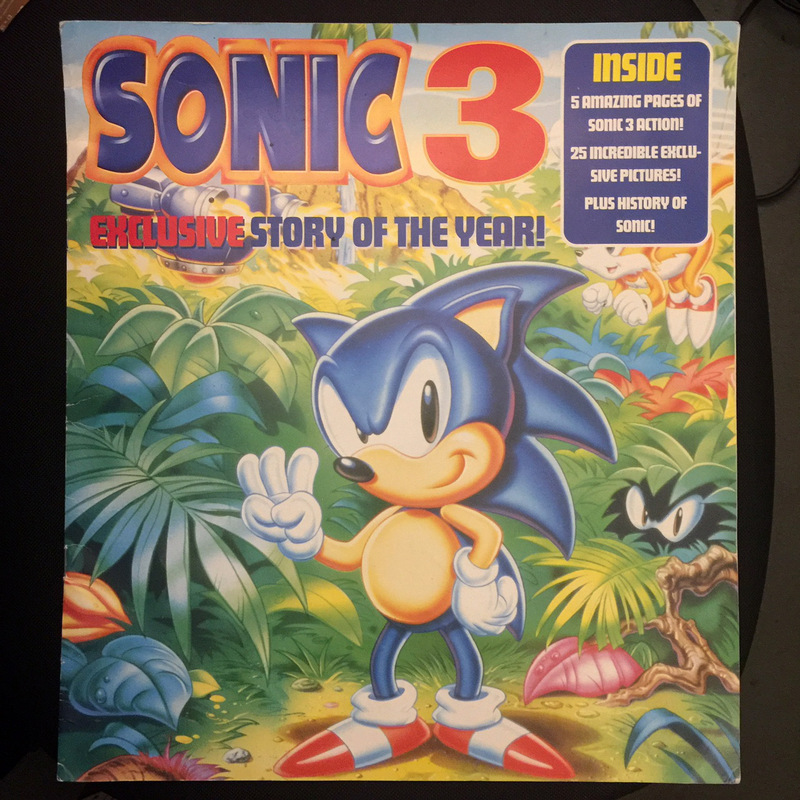 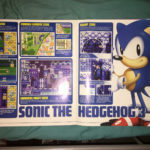 Contains a short history of the Sonic the Hedgehog franchise before it’s main preview feature on Sonic the Hedgehog 3. 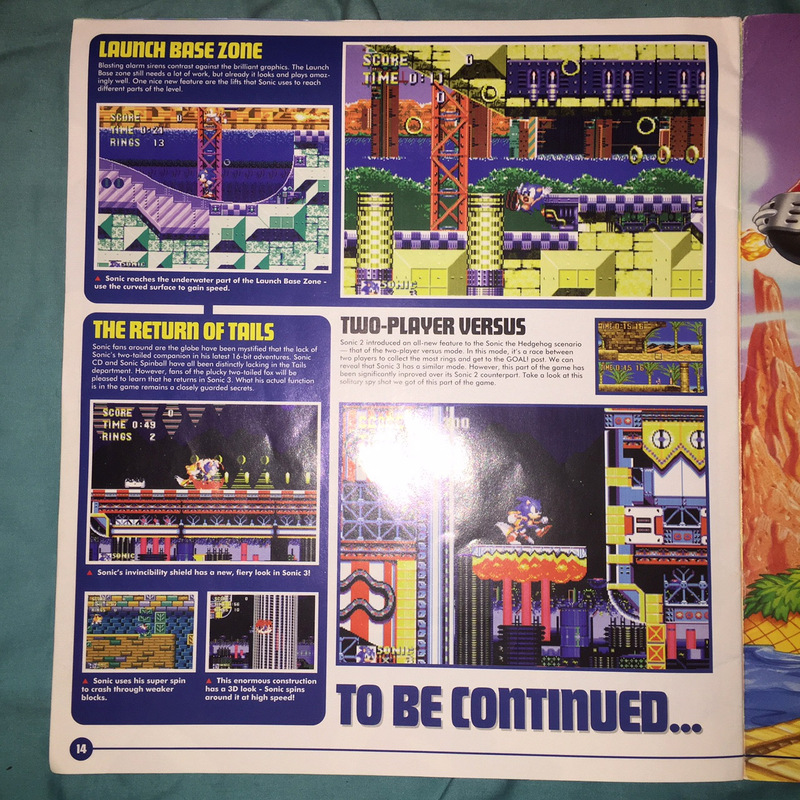 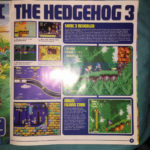 The screenshots of Sonic 3 come from an in-development build that is quoted as being, “40 to 50 percent complete”. 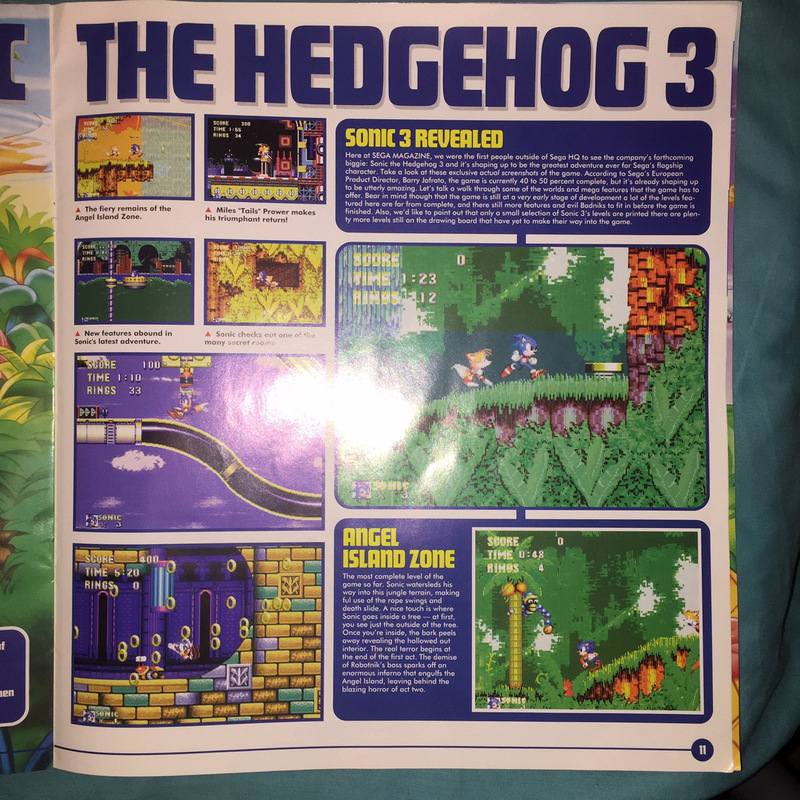 These Sonic 3 screenshots showcase different artwork that includes use of the Sonic 2 sprite for Sonic himself, alternate background art for Hydrocity Zone and an alternate colour palette for Carnival Night.